Ever since Babylonians elevated it into an art form, bricks are enjoying an illustrious presence in the world of architecture and sculpture. Behind the azure façade of the Ishtar Gate lies a bundle of skilfully organised bricks. Tudor England popularised brick buildings in the country. King’s Bench Walk in London still retains some of the finest examples of 17th century residential buildings made of brick. World’s oldest surviving passenger railway station, Liverpool Road Railway Station is also made of humble bricks. Closer home, the architecture and sculpture of Khmer region that continue to fascinate us even today owe a great deal to the specially formulated ladrillo. Antoni Gaudí made innovative laying of bricks a predominant theme in many of his constructions. Another famous 19th century sculptor Auguste Rodin spent two decades of his early career working as a brick layer. Many of our own houses are made almost exclusively of bricks. But using bricks for decorative purposes in the interiors of a home had been a rare occurrence in recent time. 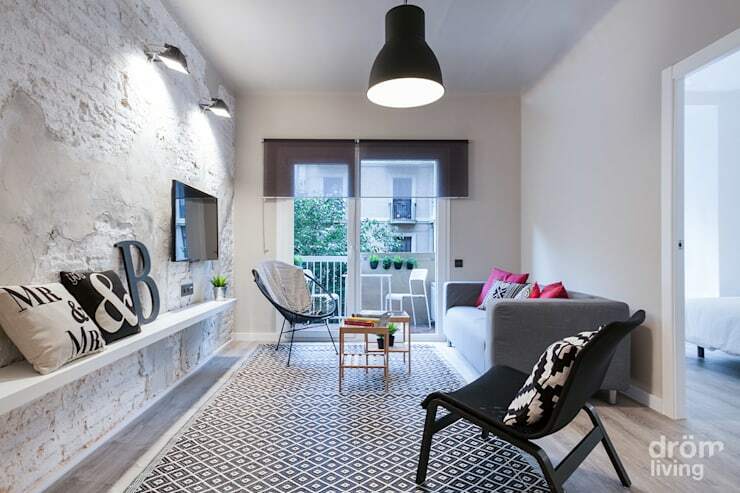 This is changing though and exposed bricks walls are making a huge comeback. So if you wish to give your home a trendy makeover now, read carefully the writings on the brick wall. Use the intricacy of the exposed brick wall to pep up your living room. Complement it with couches and chairs upholstered in dark fabric. A vintage leather sofa will also be a grand addition in a setting like this. Have a dark traditional centre table placed in front of it. Keep the decorative elements minimal. Be moderate in using paintings or photographs to deck up the wall. The brick wall itself will be enough of an adornment. If your room boasts of a wood floor like this, then having a simple area rug will be sufficient. Install appropriate lighting and have enough openings for natural light too. This will help to brighten up the space. From a dark palette we step into a white and airy living room. This whitewashed brick wall gives the Scandinavian style living room a real boost. It uses all the qualities, including the textures of bricks, to augment the charm of a minimal lounge area. The pronounced black and white theme dominating the space does not make it look boring, thanks largely to the brick wall. It has concrete plasters in patches to give it a tactfully careless image. The otherwise white space is balanced with a rug having a very busy geometric motif. If the room is a bit on the smaller side, you will need to be moderate in the choices of furniture. Do not forget adding one or two decorative elements in bright colours like cushions or a vase full of flowers. 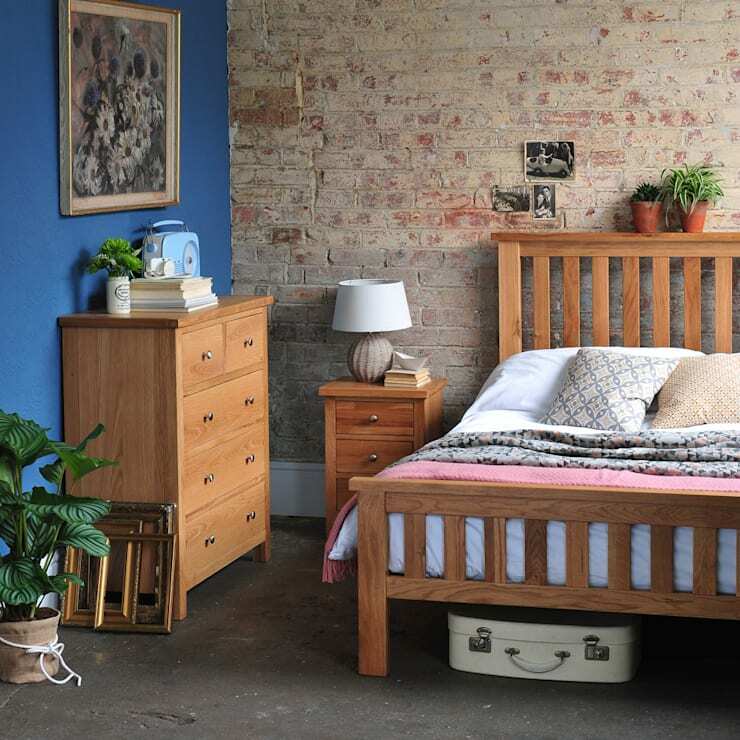 Thinking of giving your home a country style makeover for some time? Then use bare brick walls with a slightly grubby look to create an authentic rustic appearance. Purposedly stained and unkempt brick walls can also be a great way to give a shabby chic feel to the interiors of your home. You will have to complement it with appropriate furniture. For example, wood furniture with not so refined a finish will be a great accompaniment for an exposed grunge like brick wall. Refrain from hanging fine art paintings or photographs on a wall like this. You may like to have a few folk artefacts placed in your room though. Soaking the bricks in bright colours is another way of utilising its goodness post a skilful manipulation. Limit it to a small area though, unless your room boasts of an unusually large size. Colourful bricks will cheer up the space in no time. This dinning parlour here uses contrasting tones of red, black and white. Depending on the availability of the space and usage, you may prefer having an even bolder colour palette. 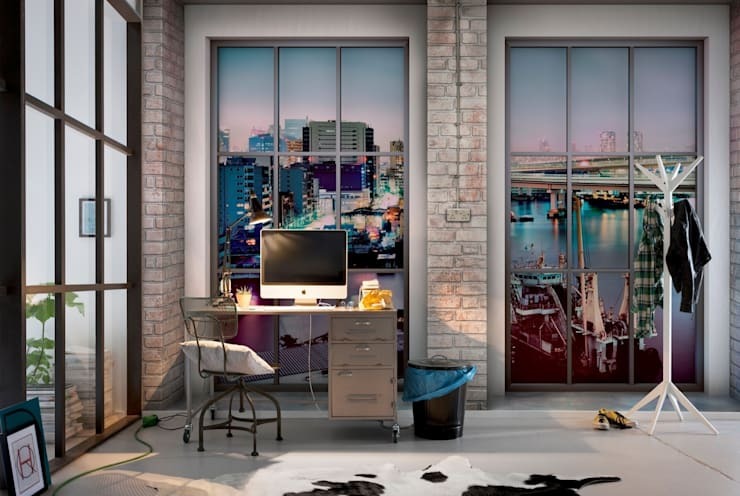 Those who cannot afford to or does not have the opportunities of installing a real brick wall like this, can make use of 3D wallpapers or tiles in similar form and colour as bricks. 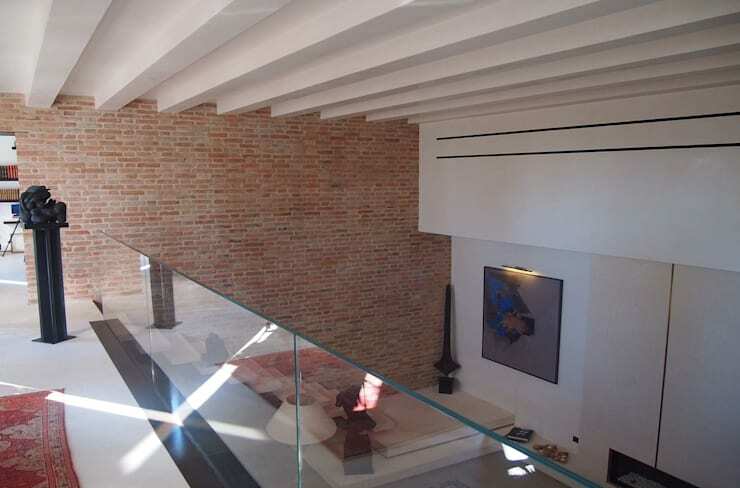 The use of brick walls need not be limited to living room or bedrooms. A bathroom may also use decorative brick wall to jazz up its interior. 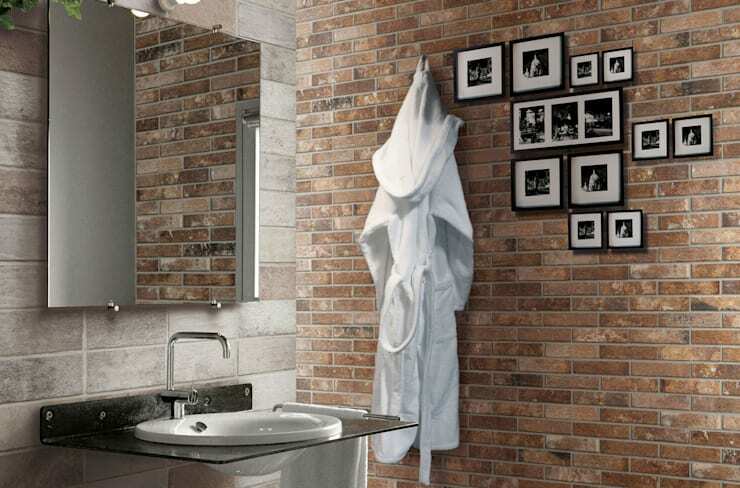 This bathroom, designed by Ceramica Rondine uses the goodness of brick wall to create a very chic private space. It is complemented with industrial style wash basin and a large mirror. A few balck and white photographs are used to embellish the wall. Depending upon your bathroom space you may need to soak it in colour or leave it bare this way. Keep it devoid of any clutter though and be very moderate in using decorative features on it. We have already seen how a painted brick wall can transform the looks of a living room. 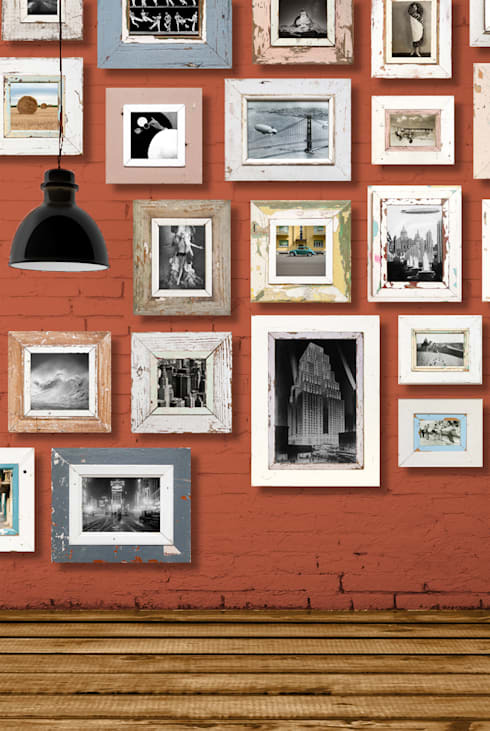 This painted wall not only uses a livelier tone but also dresses it up with several framed photographs. Rustic wooden frames remain in tune with the overall vibe that the space exudes. This photo gallery has all the qualities in place to be a part of the living room, study, hallway or hobby room as well. Once again, cluttering the space with lavish furniture and decorative items would be highly inadvisable. 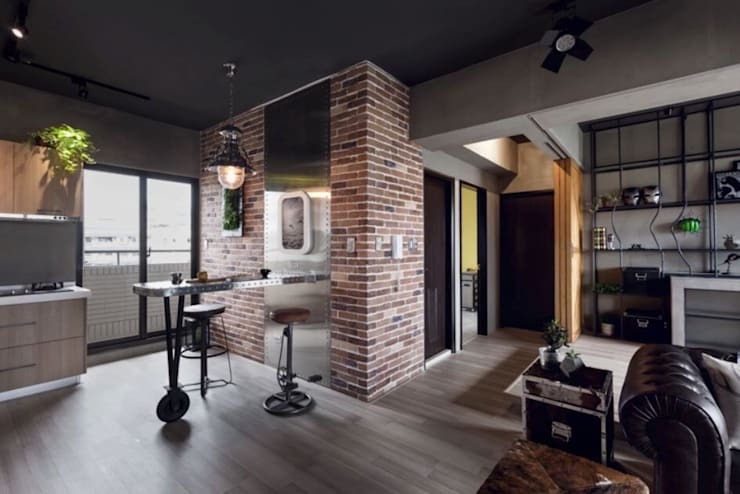 Utilise the power of exposed brick walls to give your kitchen a rustic or industrial makeover. Though rustic and industrial décor occupies two opposite ends of a spectrum, but a brick wall has the power of uniting the two with elan. For an industrial kitchen complement the exposed brick wall with steel, aluminium or wrought iron furniture. Use ambient lighting and ceiling mounted spotlights. On the other hand, utilise comfortable wooden furniture with less than refined looks for a country style kitchen. You can read more details about a rustic makeover to your kitchen here. Decking up your home office with a brick wall is another way of creating a powerful visual impact. The same can be employed in a loft space as well. Depending upon your chosen colour scheme you may prefer coating it with shade of your preference or leaving it bare after a protective treatment. If your home office does not occupy a huge area then coating with a neutral colour will be better option. Experiment with your brick wall to extract the best possible effect. Be adventurous. You can always make minor changes like coating it with different colours to showcase the moods of the season. This home uses exposed brick wall to decorate its staircase or rather the side wall of the staircase. The terracotta red tone creates quite a contrast to the otherwise whitewashed area. 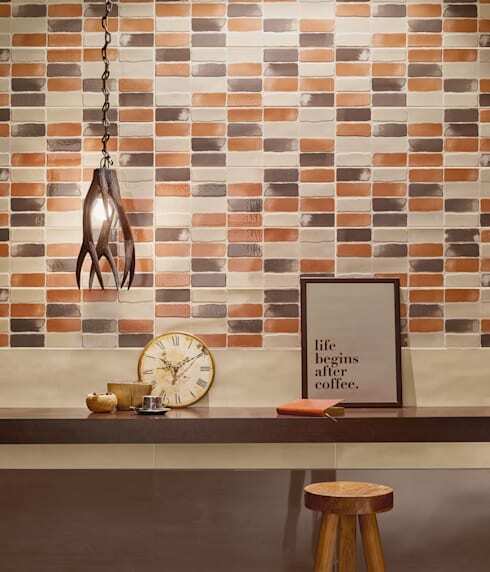 Brightening up the ambience of any part of the house becomes so easy with the use of brick walls like this. To embellish it further have prominent paintings hanging from the wall. Small indoor plans in terracotta pot can also be hung from it. The red tone will find a genial company in green foliage.